Diljit Dosanjh, Honey Singh, Lord Munmeet, Notorius Jatt, Gin & Rees and more. 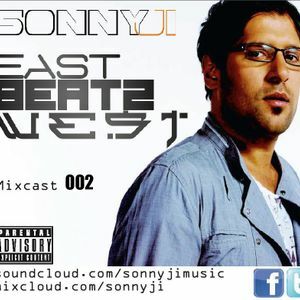 SonnyJi is a pioneer of the Multi-Genre mix & former BBC DJ of the ground breaking mixshow The Bhangra Mixtape. He now takes his talents online with the &apos;East Beatz West&apos; Mixcast. Bhangra mixed & remixed live into House, Hip Hop, Dubstep, Electro, Breaks, London Bass & so much more. In this show expect new music from Roachkilla, Artful Dodger, Gin & Rees, Mofolactic, Sonnyji, Bandish Projekt, G Deep, Stanton Warriors, Northern Lights, Gosteffects & more.